Little Mix star Jade Thirlwall has said the Me Too movement pushed the girl group into penning political songs. Thirlwall said frustration around the treatment of women, particularly of her own mother, inspired a move into more topical subjects in Little Mix’s music. The singer, who performs in the band alongside Leigh-Anne Pinnock, Jesy Nelson and Perrie Edwards, told The Guardian she now feels freer to share her political opinions. 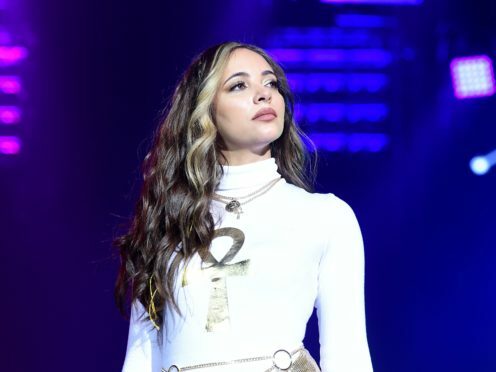 Thirlwall said the Me Too movement gave her increased confidence in her voice as a woman, and a desire to speak out about perceived inequality. She said: “I remember years ago I did a political tweet and got absolutely annihilated by mostly male MPs who were furious that a pop star had an opinion. “Now I feel more confident to write about things. With Woman’s World, I remember getting in the studio and the whole #MeToo thing was happening and I was really angry. “I started talking about my mum and how she was always seen as less equal even though she worked just as hard as the men around her. Woman’s World contains the lyrics “you gotta work much harder than every single man, that’s just the way”, and “just look at how far that we’ve got, and don’t think that we’ll ever stop”.